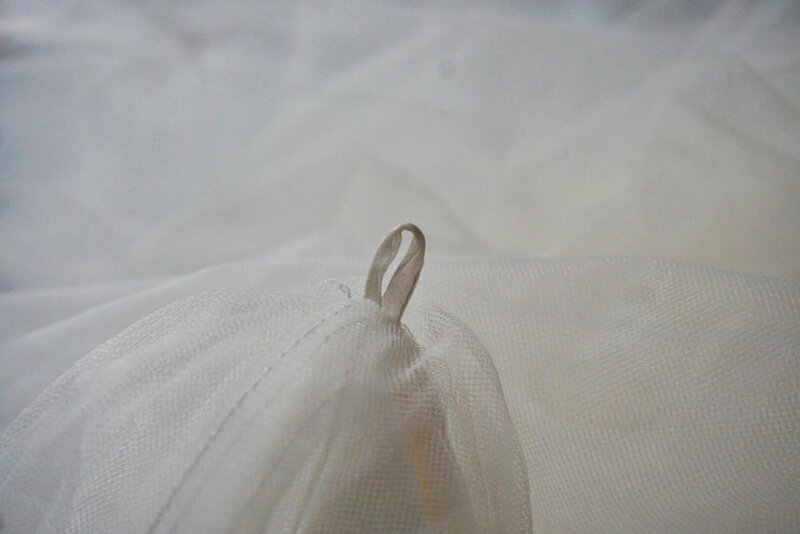 Wedding dress bustles go all the way back to the 1800s. There are several types of bustles such as: the French bustle, America bustle, Victorian bustle, Austrian bustle, and the list goes on. It may seem overwhelming to some. How will the dress get bustled quickly and efficiently on the wedding day? Below are our 3 quick tips on getting your dress bustled easily. During your final fitting is the perfect time to ask for a demonstration on how to bustle your dress. The seamstress is a pro at your specific bustle and the best person to ask for advice. They can demonstrate the best technique for your dress. It does not matter if you have loops, ties, or hooks, this person can show you the placement of these items on the dress and where they attach. If after a demonstration you still do not feel comfortable guiding someone on how to bustle your dress then take a video. A great tip is having audio on and having the seamstress talk through the process of bustling the dress. Assign someone with a great eye to bustle your dress. Bring this person with you to the final dress fitting. This person can watch the demonstration from the seamstress, video tape it and practice. Great people to assign this task to is the mother of the bride, maid of honor, or a wedding planner. 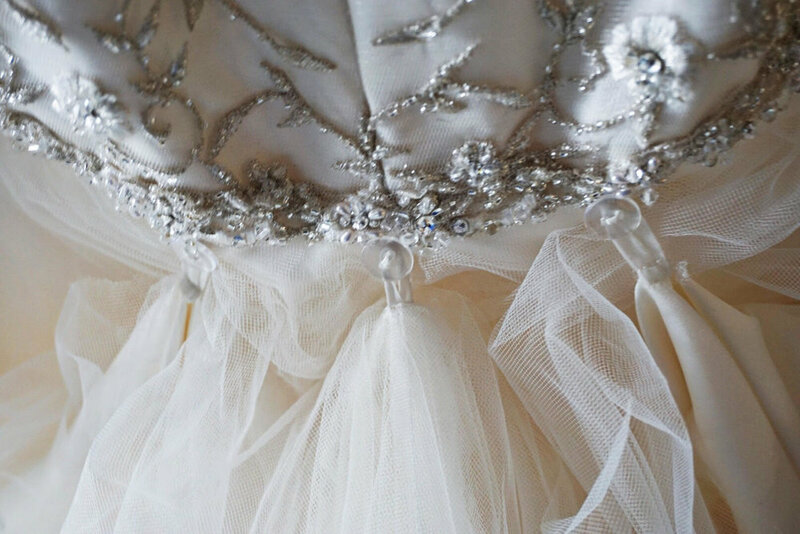 A knowledgeable wedding planner has seen several types of bustles and will be able to assist! Count out the loops, ties, or hooks- Counting the loops helps with making sure nothing is missed. Start in the middle- Starting in the middle helps with making sure the bustle is not uneven. Have two people help- larger dresses or long trains with lots of beading and/or tulle may require two sets of eyes. Hopefully these 3 great tips help you worry less about getting your dress bustled quickly and easily!